Yeah it’s easier to pick up a box of mince pies from the shops this time of year but why NOT have a go at making your own? 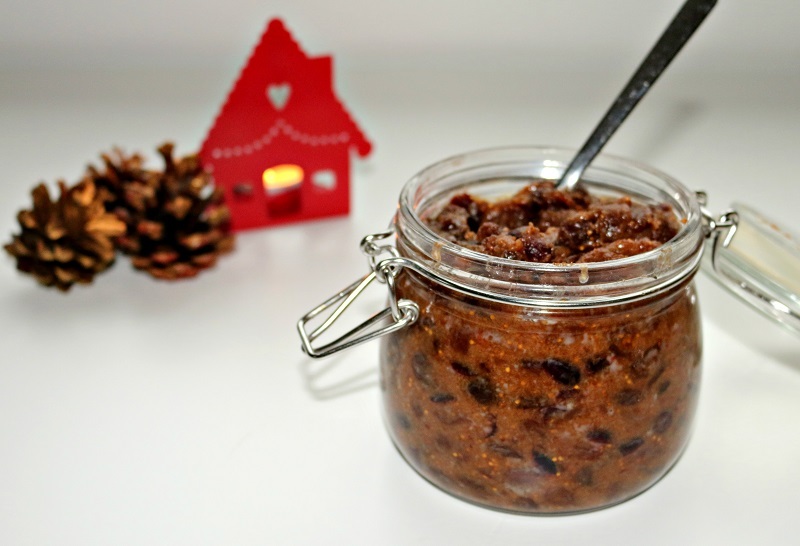 Mincemeat takes 15 mins to throw together and you can eat it straight away. If you like it, you could keep a jar or 2 aside until next year (tempting?). Even the pastry, as off-putting as pastry-making might sound right now, is relatively easy. So throw a batch of mini mince pies together and bring them into work, give them to your neighbour or bring them round to the family on Boxing Day. If you say they’re home made you can pretty much get away with doing nothing else this Christmas. Then again, if you do want to cheat, go for it. 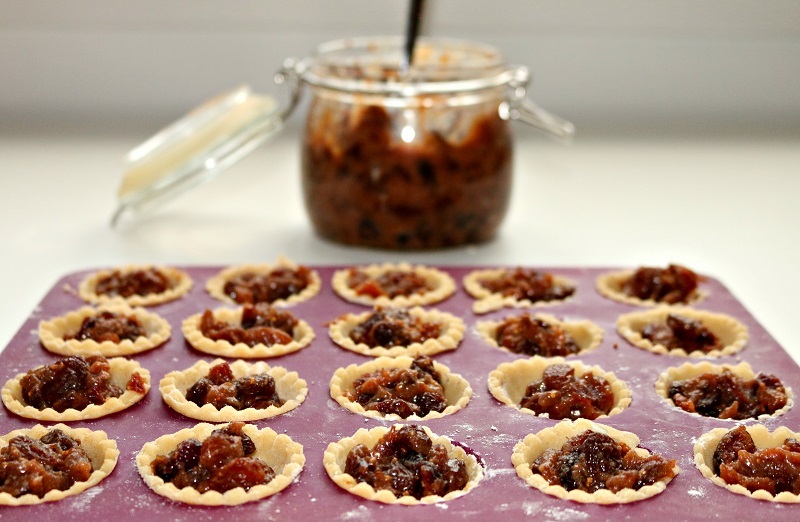 Use shop bought pastry and home made mincemeat, or vice versa. It’s your Christmas. So long as you’ve got your feet up with a drink in hand at the end of the day, that’s all that matters. 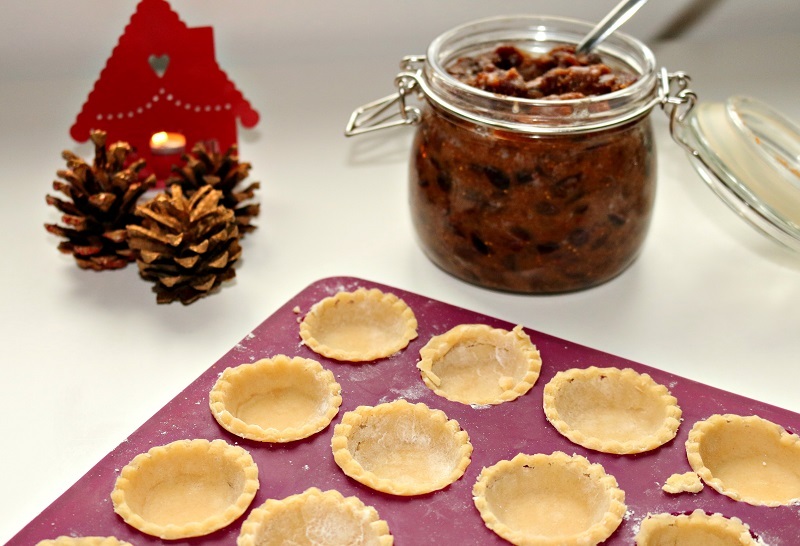 I’ve used a small tartlet tin from Lakeland to make mini mince pies. This way you end up with all the flavours of Christmas in 1 bite: Fig, cranberry & cider mincemeat (click here for the recipe) with a buttery almond & orange pastry. 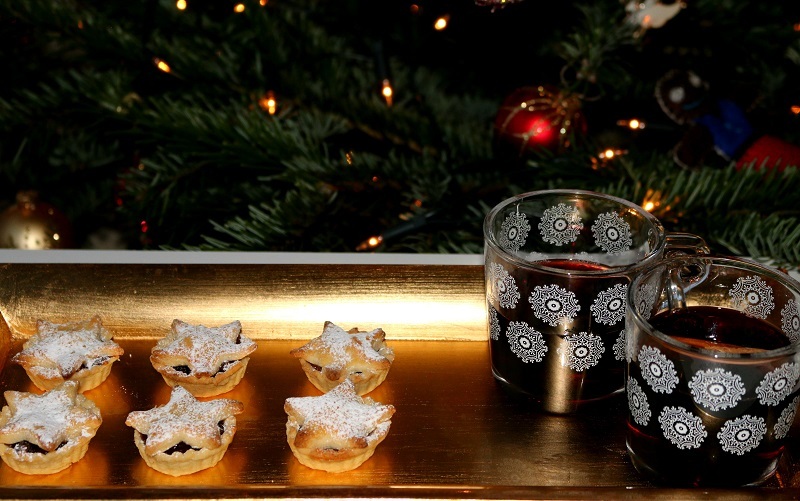 You can, of course, use a cupcake tin to make regular sized mince pies. As always I advocate industrial quantities here. Make several batches of mince pies, freeze them then heat from frozen. This way you’re only ever 20 mins away from warm pies should anyone pop over unexpectedly. Make it Vegan: Replace the butter with vegan margarine & replace the egg yolk with 60ml orange juice. Rather than wash the pastry with beaten egg, try a little milk instead. Make it Gluten Free: You can replace the flour with GF flour or use ground almonds instead. You can make the pastry in a food processor or by hand. If using a food processor, blitz the butter and flour with the blade attachment until it starts to resemble breadcrumbs. Add the ground almonds, sugar, orange zest, salt and egg yolk. Then, with the food processor running, add half tsp of water at a time until it comes together to form a lump. You may not need all the water so use it sparingly. If you are making the pastry by hand, rub the butter into the flour using your fingertips until it starts to resemble damp sand. Stir in the almonds, sugar, orange zest and salt. Add the egg yolk and half tsp of water. Start mixing together with a knife, adding a little more water as you need it. Continue mixing the pastry until it comes together to form a lump. Flour your hands & roll the pastry into a ball. Wrap the pastry in cling film & chill in the fridge for 30 mins. You can freeze the pastry now to use later if you like. Once the pastry has chilled heat the oven to 180C. Cut the pastry in half and roll 1 half out onto a floured surface until its approx 3mm thick. 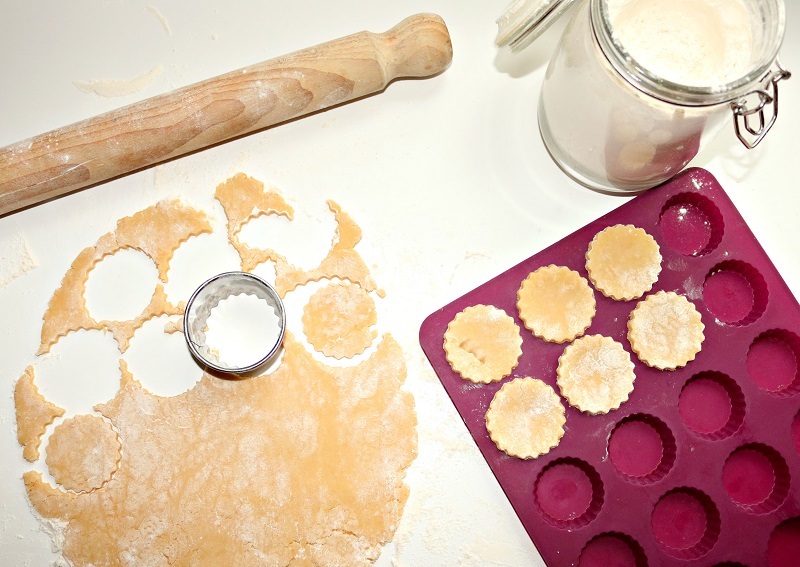 To make mini mince pies, stamp out 24 circles of pastry using a 6cm biscuit cutter. If you don’t have one, use a shot glass or champagne glass instead. 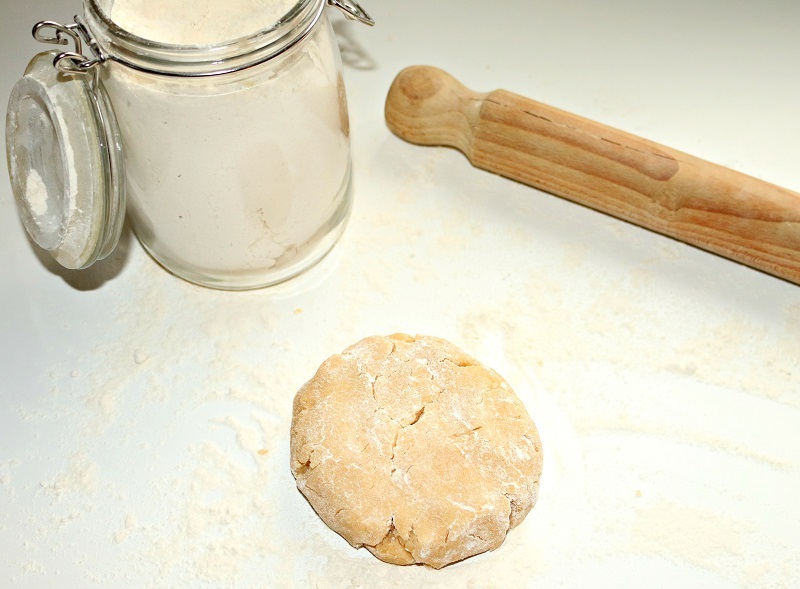 To make regular sized pies, stamp out 12 circles of pastry using a 9cm biscuit cutter, or use a glass. Lay the circles of pastry onto the tartlet tray or cupcake tin. Dip the end of the rolling pin into flour then gently press it into the cases to push them into the tray. 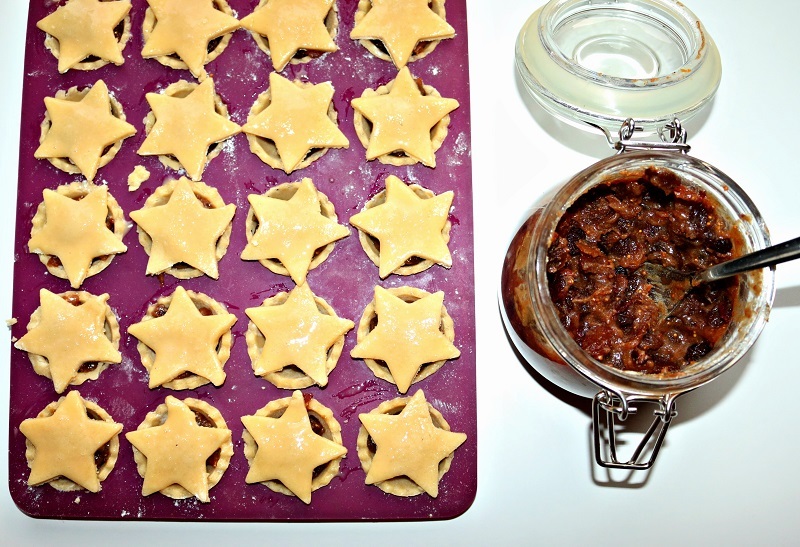 Fill the mini pies with 1tsp of mincemeat or 1tbsp of mincemeat for regular sized pies. 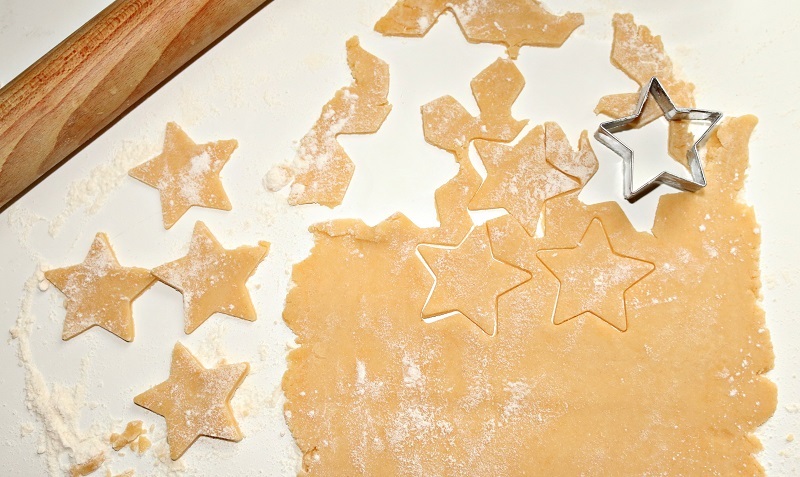 Roll out the remaining pastry and stamp out small stars. Place the stars on top of the pies and brush with beaten egg. Bake the pies for 10-12 mins until golden. Leave to cool in the tray for 5 mins before serving. I like to serve these warm, dusted with a little icing sugar, and served with a dollop of thick boozy cream with some mulled wine. Just remember to leave a few out for Santa!